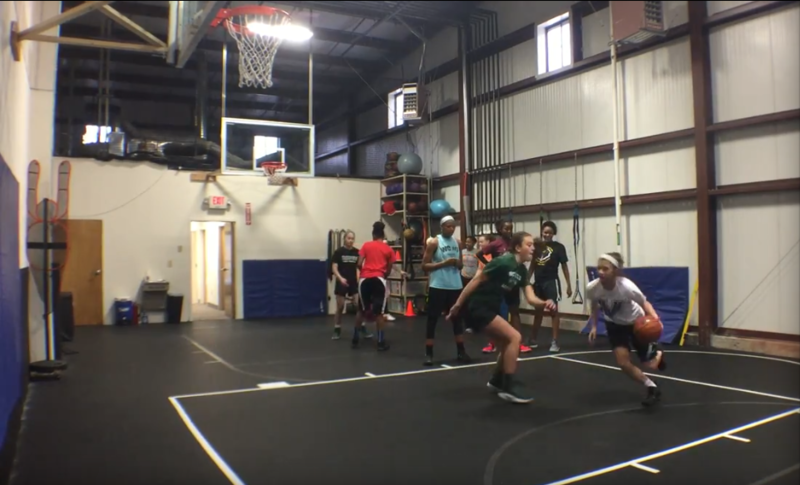 BBallLife training facility in Hillsborough, NJ is a home for players who want to put in extra time working on their skills. Practice & games are for team concepts. We assist with a player’s individual impact so they can play better. Players learn to play by building skills such as dribbling, shooting, passing, catching, read & react and moving without the ball. Our priority is to have FUN through skill building games that train the proper form & improve player’s ability. 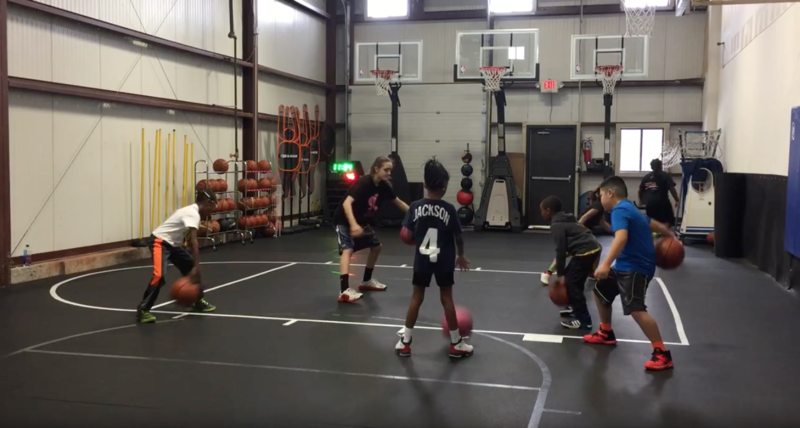 Small Group Training Sessions will accelerate your development with rigorous drills while clarifying the reason for each task. We will patiently help you understand how your skills can be used in game situations & enhance your work ethic to achieve a standard of excellence. Sessions are 60 minutes by appointment, usually 4 to 8 players and includes ball control, shooting with Dr Dish shooting machine, explosive development with the Vertimax and small sided games for decision making. 1 on 1 sessions can be requested due to availability. Hi, I’m Coach Q James. I train players from age 7 to the Pros. I’ve been training for over 15 years & I’ve coached teams on different levels: AAU, High School and College. I started training when I saw the need for players to develop their individual impact on teams. I have a passion for basketball & learning and a desperate desire to be effective. I have former players who have become All Americans on the college level and a few who are now high school & college coaches. One of my former players has won a national collegiate championship and was awarded as the MVP. My mission is to help my players understand the game, become better impact players and create amazing experiences. My daughter has been training with Coach Q for the last 4 years and I could not be any happier with our experience. My daughter’s skills have steadily improved ,as well as her love of the game. I am most impressed with how the focus is to develop not only a great player, but a great leader. I have seen her apply what she has learned on the court, on the field , and in school. If I could give more than 5 stars, I would!! It’s not just about basketball it’s about life too. 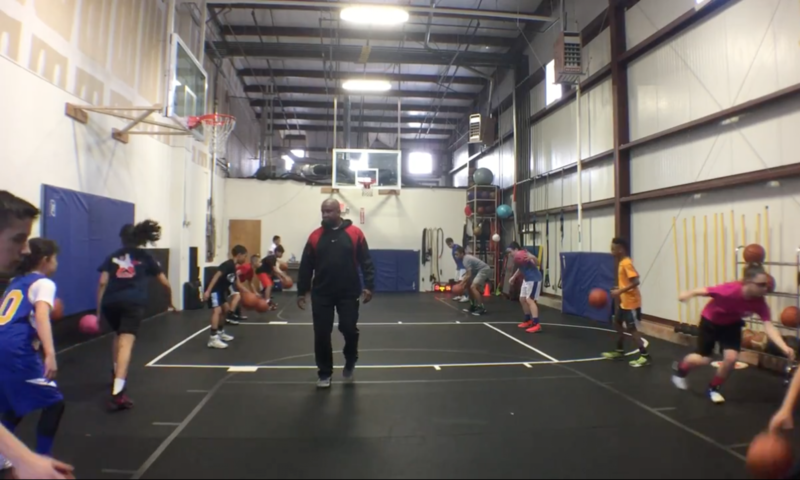 Coach Q does a great job with the kids teaching them the fundamentals of basketball while instilling the meaning of hard work and building up their confidence. The kids leave his classes thinking like champions! My son had an introductory session with Coach Q this week. They connected immediately. My son felt the practice exercises were extremely beneficial. Coach Q identified parts of my son’s game that needed improvement. My son gave Coach insights into his game and where he felt there was room for improvement. Coach Q took my son’s input and implemented a strategy to improve his skills. I was so impressed that I booked eight more sessions when I arrived home. Our experience with Coach Q has been AWESOME! My son wasn’t sure if he wanted to take lessons as some of the camps he has attended recently were very disappointing. But in just the first 5 minutes with Coach Q, it was clear to see that he was engaged and focused on everything Coach was saying and every drill he led him through. When the lesson ended, the first thing my son wanted to know was when can I come back? But the thing that I love the most about Coach Q is that he found a way to relate everything that he was teaching on the court to life lessons off the court and with these younger players, that’s what it’s all about. We’ve definitely found the coach that we’re going to be sticking with for years to come! My experience from day one with Q has been great. My skill level has tremendously improved as well as my confidence. Resulting in dominant game performances and thorough knowledge of the game. Im a much better player than I was months ago. Coach Q is the total package in a trainer. He has the ability to foster physical toughness, mental toughness and athletic intelligence in his clients. He inspires and motivates them to push themselves to reach their full potential. He genuinely cares about all his clients and it shows.